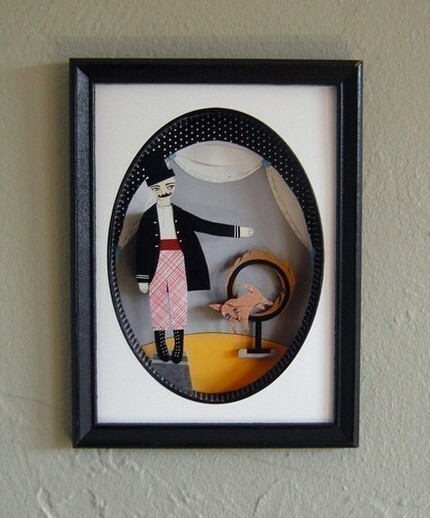 I love the charming papercut art of Jayme McGowan so hard. 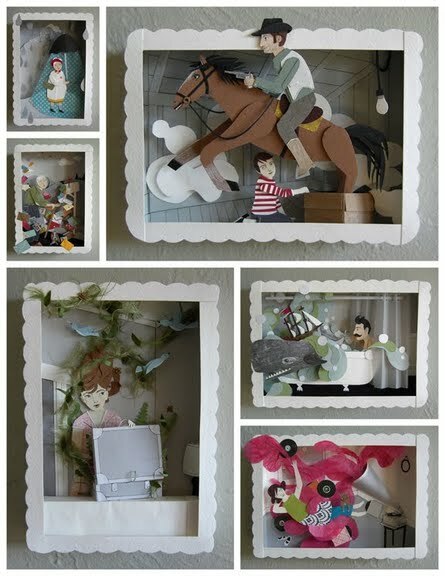 His shop, Roadside Projects, is filled with whimsical 3D creations that make the paper doll loving 9 year old in me squeal with joy. His blog is fab too with behind the scenes peeks at his process of creating. While I’d really love to buy (OK…receive) one of his originals, the prints are also gorgeous and very affordable.